If you haven't figured out by now, I am overly detail oriented. I stress about so many small details but big things such as wedding dresses and cakes aren't ones I bother worrying about. Weird. We are going to New Orleans in 5 weeks to finalize a few more things. One of the items on our list is cake tasting and selecting a design. 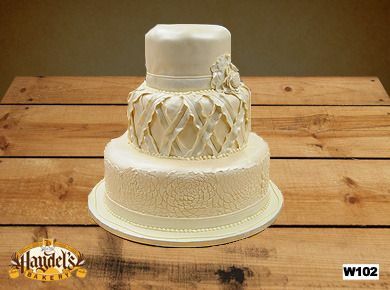 I never imagined what my wedding cake would look like and there are way too many designs out there. 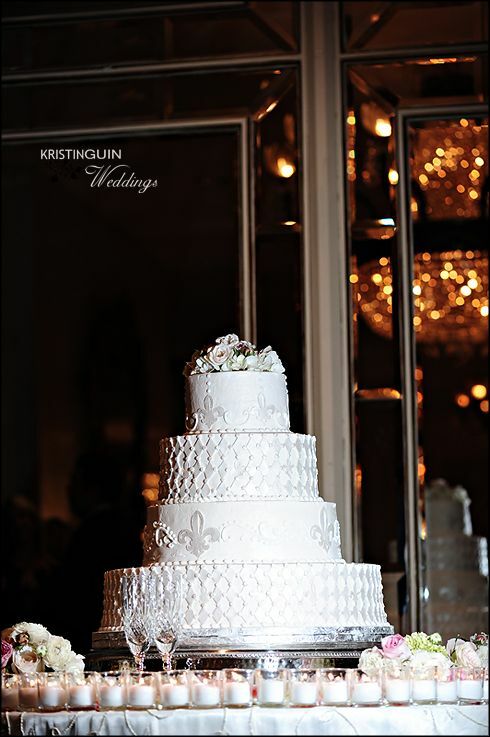 One of the many great things about having our reception at Hotel Mazarin is that our cake is included in our reception package, made by the world famous Haydel's Bakery in New Orleans. At least I wont have to stress about picking out a baker. Oh, I should have mentioned - I HATE CAKE. I've never eaten a single piece of wedding cake in my life. Maybe this is why I am not too concerned with my own wedding cake. I have no clue what style cake I want. Gabe doesn't really care either - although he really likes whimsical and I do not. So here are a few wedding cakes from a girl that dislikes cake. Some of these cakes were made by Haydel's. I need help picking something out - let me know what your favorite is! Cake 1: I LOVE this cake. Take the lilac cala lilly out and replace it with black magic roses. Cake 2: The details on this cake are amazing. This cake was created at Haydel's. Cake 3: This cake is stunning. I love the bows, the bling and the flowers. Did I really just say bling? 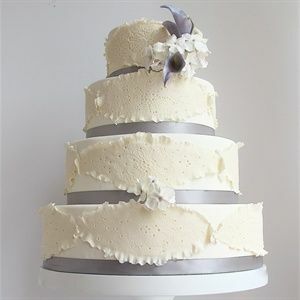 Cake 4: This cake is very pretty - I would use black magic roses instead. Cake 6: This is another cake created at Haydel's, with fluer di lis and everything. It is a very cool NOLA style cake. What is your favorite from the list above and what flavor cake do you like? Oh trust me - there will be!!! We have a bananas foster station, a candy bar and possibly a Smores station. The wedding cake is included in our package so since it is already paid for, may as well make it a pretty one!!! I like #2 and #5 the best. I'm not a cake person at all either. And I never eat wedding cake...until we smashed each other in the face and I had cake in my mouth, in my nostrils, in my ears, in my hair...lolol. 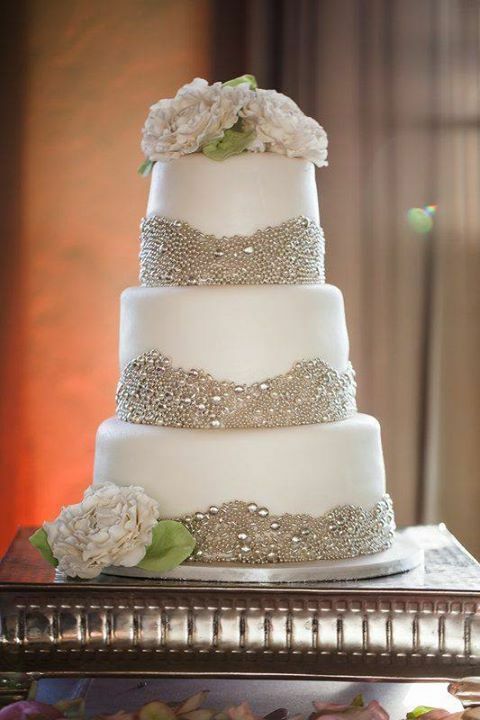 I like the second cake...the texture on the bottom tier though (I know, I'm getting picky here, haha)! 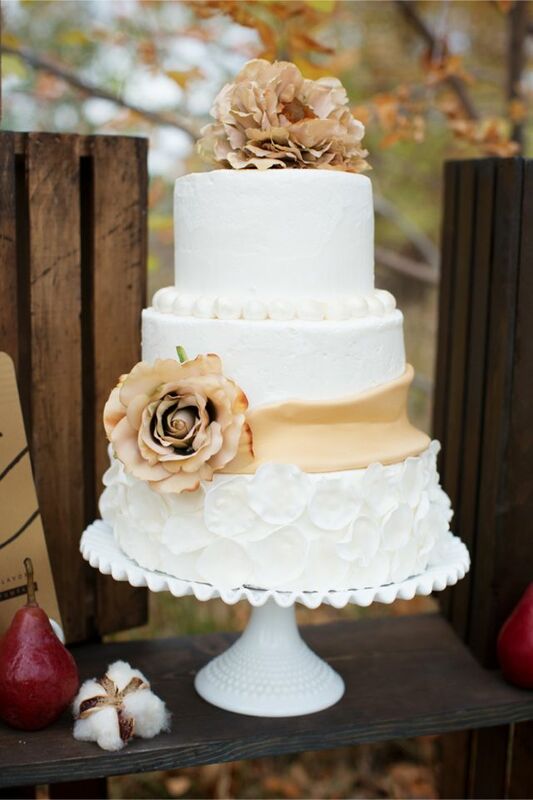 Our wedding cake was two different flavors - we had a chocolate cake with Kahlua cream frosting, and an almond cake with vanilla frosting...figured that would make everyone happy. I was partial to the almond cake quite a bit (but you know I'm a chocoholic too). I'm kind of with you on the not wanting to eat wedding cake thing...I can usually pass on it...but I have to say that ours was seriously good. We've bought cakes from our baker again over the years since she did such an amazing job at decorating AND baking.